Rybarikova carved out a 6-4, 2-6, 6-3 win over Croatian qualifier Petra Martic as the World No 87 set-up a last-eight duel against Coco Vandeweghe of the United States. 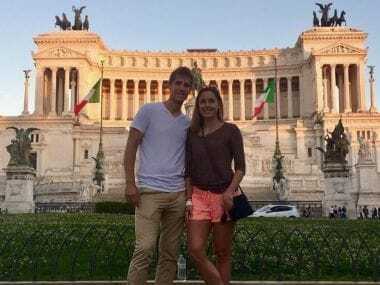 SImona Halep's former coach Australian Cahill quit in frustration at her negative demeanour after she surrendered winning positions to Britain's Johanna Konta in Miami in March. Simona Halep will next face fifth-seeded Elina Svitolina, who rallied to beat Croatian qualifier Petra Martic 4-6, 6-3, 7-5 on Court Suzanne Lenglen. 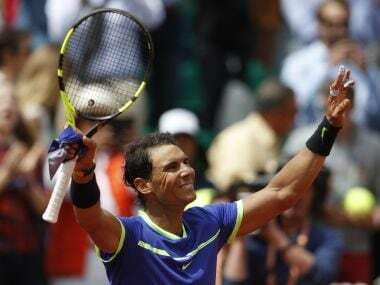 Rafael Nadal continued his ruthless form at Roland Garros by dispatching Spanish 17th seed Roberto Bautista Agut 6-1, 6-2, 6-2 to match Roger Federer's mark of last-eight appearances in Paris. 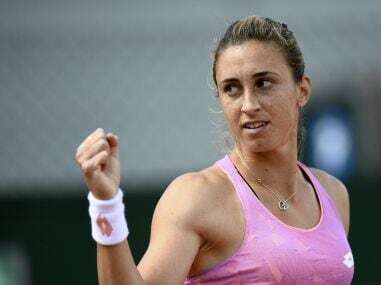 Two months ago, Petra Martic was playing qualifiers at a pocket-money claycourt tournament on sub-standard courts in Italy where ball boys were non-existent. Now, she's made the French Open fourth round. 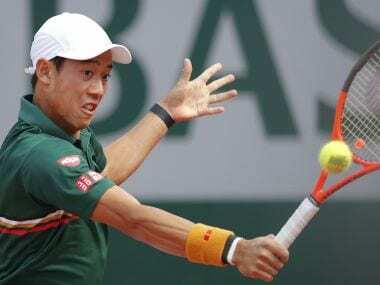 Japan's Kei Nishikori fought off a fierce five-set challenge from rising South Korean talent Hyeon Chung to clinch a place in the French Open last 16 on Sunday. Take a look at some of the off-court stories making news at the French Open, including some of the best quotes from Day 3.